I run to combat a family history of obesity, heart disease and diabetes, and because I have grown to love the sport. I have 2 amazing memories, crossing the finish line with my Dad at my first marathon and crossing the finish line with my Mom at the last marathon I ran. I pace because I enjoy watching people meet their goals, whether it is completing their first marathon or setting a new PR or just having a good run, I like knowing I was there to help them achieve their goal. 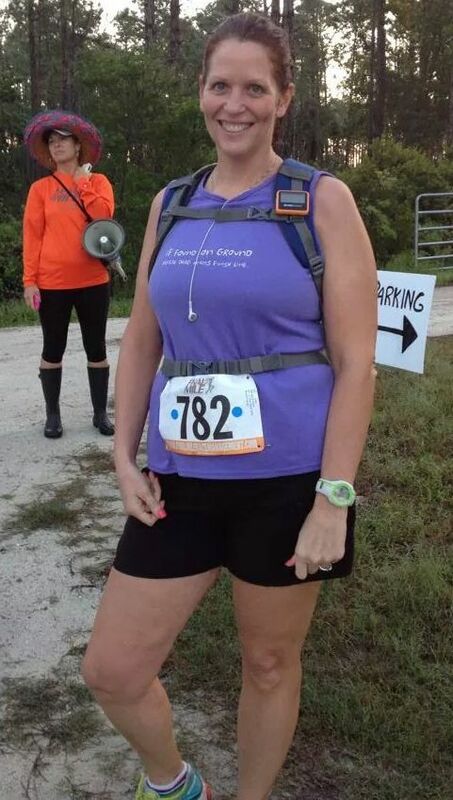 My best pacing experience came at 26.2 with Donna while pacing the half, a woman our group picked up along the way was injured and tired ,she ran the last 10 miles with us, at the end she turned to thank me for helping her to achieve her goal. She herself was a breast cancer survivor who ran the race each year in memory of a loved one who had died of breast cancer. It was a very humbling experience. There are many reasons to pace with me; consistency is a big reason, too often people go out to fast and then crash and burn not meeting their goals. Companionship, 26.2 miles is a long way to run without anyone to talk to. Last but not least to relax and have fun, let someone else worry about the mile splits. Come to the race with a funny story or a joke to share with the group, enjoy the companionship of other runners, and most important show up with a positive attitude. I volunteer at Give Kids the World, an organization that gives sick children and their families a week long fantasy vacation in Central Florida.